If you're promoting your music project or electronic music (EDM) twitter profile, here's your surefire spotlight into US audiences. 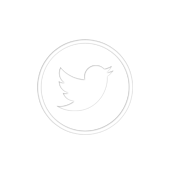 Get your music tweets favorited and retweeted by some of the most popular USA Twitter users. They're not only real and active (of course they are), but also the highest quality profiles Twitter promotion for music has got to offer. Be noticed online and boost your music, DJ, label, venue, festival or electronic artist Twitter profile today! This pack includes 100 USA retweets and 300 USA favorites. This professional music promotion and social media marketing service applies to one tweet only. For more tweets, just order more instances of the product and let us know which is which with a quick URL in the profile section.